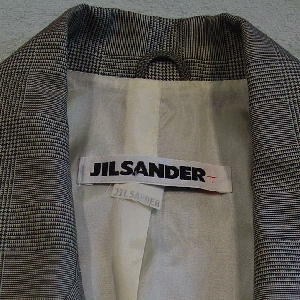 This vintage Jil Sander black and white plaid jacket is 60% wool and 40% silk. The tag, which says it's size 34, has an extra button attached to it. 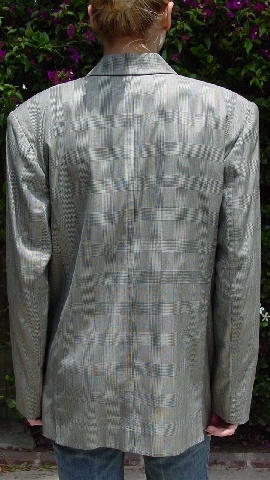 It has a white-cream lining. 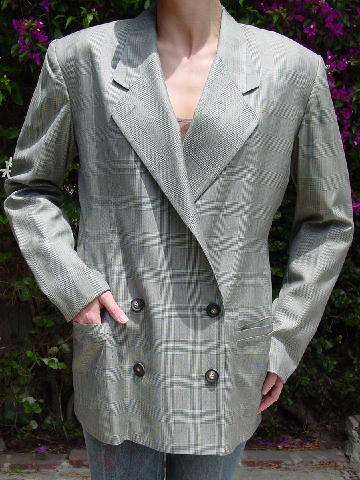 It's double-breasted with shoulder pads and long sleeves. 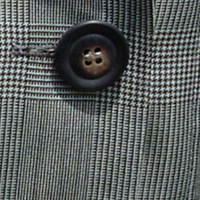 There are two lower angled pockets, and the buttons are a matte black-brown with light bone-tan centers. shoulder to end of sleeve 24 5/8"